More than two dozen people have died from carbon monoxide poisoning after accidentally leaving their cars running in the garage, according to The New York Times. Dozens more suffered debilitating injuries. The victims had left their cars running in the garage. 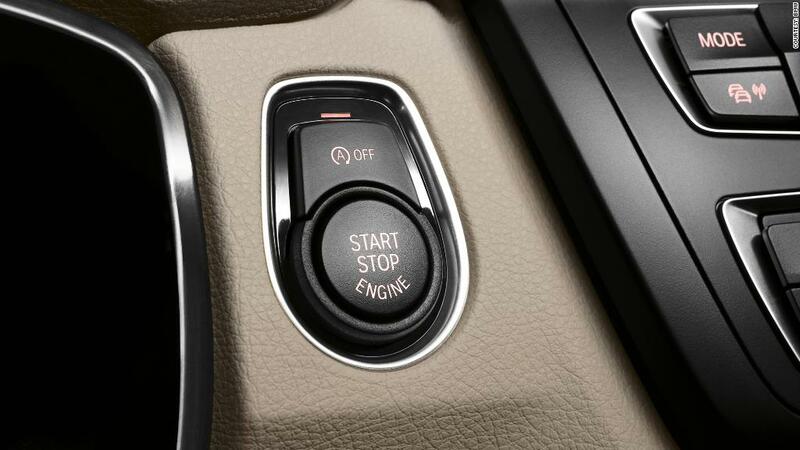 It's a mistake that's made easier by modern keyless ignition systems, which allow drivers to start and shut off their vehicle with the press of a button. The car key -- really just a key fob -- can remain in a purse or pocket. But making it so easy turn on a vehicle also makes it easy to forget to turn it off. This is especially true with quiet, hybrid cars. The engine might not be running when the car is first parked, but will come on later as the car's batteries run down. Even many non-hybrid cars today have extremely quiet engines, the sound of which can be virtually undetectable when the car is parked. What cars have this feature? So-called keyless entry systems are a standard feature on many new cars and at least an option on even the least expensive economy models. It's a convenience that's on millions of cars today, and it's appreciated by owners who no longer have to fumble with car keys. With this feature, drivers can lock and unlock the car just by touching the door handles -- without using the key fob at all. Once inside, drivers can start their vehicle the press of a button or, in some cases, the twist of a knob. What can automakers do to prevent these accidents? Automakers should make sure vehicles have audible alarms that can be heard outside of the car when a driver gets out of a running car, said Jake Fisher, head of auto testing for Consumer Reports. The magazine has called on all automakers to add features like this to prevent the problem. Some automakers already do have audible notifications. Others, such as General Motors (GM), have designed their cars to automatically shut off after a certain period of time once the driver has left the vehicle. Still other automakers design vehicles to automatically turn off whenever the driver exits the vehicle with the key fob. Are government regulators doing anything? Regulations have been proposed, but never enacted, according to the New York Times and other reports. The challenge for automakers is to balance customer safety with convenience. There may be some times, for example, when a driver might want to let their car's engine run when they're not in the vehicle. For instance, they may want to leave the air conditioner on for a pet inside the car, or maybe they're using headlights to illuminate what they're doing. The most important thing for drivers is to make very sure a car is turned off every time it's parked. It's easy for people for get distracted by children or a phone call and leave the ignition on, said Robert Sinclair, a spokesman for AAA's northeast regional office. Specifically, he suggests that drivers get to know what a car's gauge cluster looks like when the ignition is on and when it's off. If the gauges are still lit up, the car is still probably on. Hybrid cars, in particular, will have a dashboard light indicating the car is turned on and ready to drive. Finally, to prevent this and other tragic accidents, every home should have working carbon monoxide detectors. These detectors should not be placed in the garage, where they probably can't be heard, but instead in a home's living areas, said Lt. Athony Mancuso of the New York City Fire Department. "When we do see a carbon monoxide death," he said, "the people don't have a carbon monoxide detector."